Thanks to everyone for participating in the blog hop and for all of your great comments! Robyn didn't know that I had asked you all to put what you love most about her! I told her to go read all of these comments and she was so overwhelmed by all of your love!!!!! Congrats to Darlene! You are the winner of Robyn's Yummy-licious stamp set! I have sent you an email so make sure to check it! Hey everyone you should be coming from Agnes (Flowerdisco)'s Blog. If you came here first make sure to go to Robyn (My Pink Stamper)'s blog and start all of the fun! For my project I made this Take out box from the Sweet Tooth Boxes Cartridge. I used a 12x12 piece of paper and used the fit to page button which ended up cutting my box at 11.5 inches. I punched holes for my grommet so that I could add a ribbon across the top, and then put the box together. I couldn't decide on which stamp I wanted to use so I made two! "Something Yummy for your Tummy!" is from Robyn's Yummy-licious stamp set. 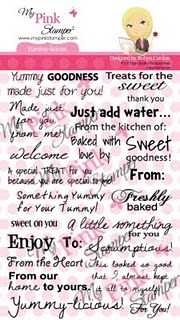 "100% Sweet" is from Robyn's Sweet Goodness stamp set. 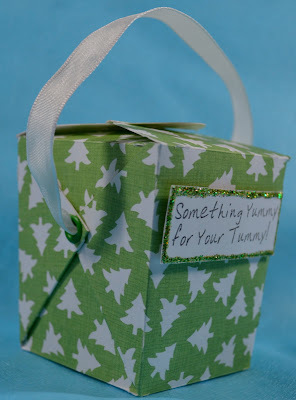 And I am so excited to have a Yummy-licious stamp set to give away!!!! To enter leave a comment on this post telling me why you LOVE Robyn, or any of her products!!! 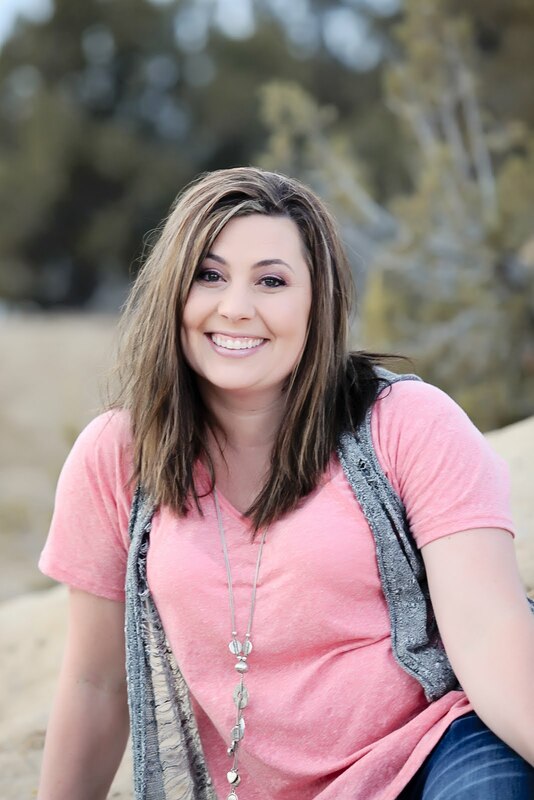 Next hop on over to Courtney (Court's Crafts) ! Just in case you get lost here is the order of the blog hop! At my daughters school the have a program called Reading Rockets! Each grade has a number of minutes (kindergarten has a number of books) that they are supposed to read each month. At the end of the year the kids can get a gold, silver or bronze medal, but to encourage the kids to read during the year each class has a Reading Rocket mom. I am that mom this year for my daughters class. So I get to do rewards/incentives for the kids each month who met their goal. This is what I did for the kids who met their goal in September. Let my daughter help and we picked up some goodies and some halloween themed pencils. We got the bags at Hobby Lobby and when we were on our way out we saw these cutest little witches hats so we picked those up to go on our lollipop ghosts! We let my 3 year old son pick out the ribbon for the top of the bags and we used Everyday Paper Dolls to cut out some Halloween Kids to put on the front of the bags. Here is how they all turned out! I'm glad that my husband likes my baking and he so graciously offered up my baking to his hunting group. He had a list 10 items long that he wanted me to make for his 6 day 5 night hunting trip. I got the list down to 2! And my Pumpkin Chocolate Chip cookies! Yummy! We are going to camp with him tonight and then will be back and I have a cute project I did for my daughters class that I will post on Monday! Have a great weekend! I am crossing my fingers that I don't freeze!!!!! !